Für BMW E70 X5 Radlaufverbreiterung. Diese Kotflügelverbreiterung passt für:BMW E70 X5 2007-2013 (nicht M-Stoßstange). Geeignet für 20"/21" Felgen. Breite ABS Kotflügelverbreiterung Set. Kotflügelschutz breite Version. E91 - Estate / Touring. E90 - Saloon. 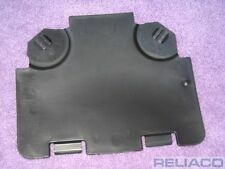 BMW 3 seriesFRONT LEFT wheel arch access panel cover. ACCESSORIES AUDI BMW 1 SERIES 3 SERIES 5 SERIES 6 SERIES 7 SERIES MINI X SERIES Z SERIES CITROEN FIAT FORD MAZDA MG ROVER NISSAN OTHER MANUFACTURERS PEUGEOT RENAULT SEAT TOYOTA VAUXHALL / OPEL VOLKSWAGEN. 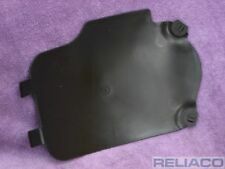 BMW E85 E86 Z4 FRONT RIGHT FOG LIGHT BULB ACCESS COVER. E86 - Coupe. E85 - Convertible. Suitable for the following Z4 models (2003-2008) ;. BMW Z4FRONT RIGHT wheel archLOWER access panel cover. Allows access to the fog light bulb. BMW E90 E91 3 SERIES RIGHT HEADLIGHT BULB ACCESS COVER. E91 - Estate / Touring. E90 - Saloon. BMW 3 seriesFRONT RIGHT wheel arch access panel cover. ACCESSORIES AUDI BMW 1 SERIES 3 SERIES 5 SERIES 6 SERIES 7 SERIES MINI X SERIES Z SERIES CITROEN FIAT FORD MAZDA MG ROVER NISSAN OTHER MANUFACTURERS PEUGEOT RENAULT SEAT TOYOTA VAUXHALL / OPEL VOLKSWAGEN. BMW E70 X5 (modèles de 2007 à 2013,SAUF pare-choc M ). Prêt à être peints pour convenir à la couleur de votre BMW. 4 Élargisseurs D'ailes (Avant Arrière). Audi A5 8T 8F Calandre Avant Grille Noir Nid D'abeille S-Line PDC LCI 2012-2016. E86 - Coupe. E85 - Convertible. Suitable for the following Z4 models (2003-2008) ;. BMW Z4FRONT LEFT wheel archUPPER access panel cover. ACCESSORIES AUDI BMW 1 SERIES 3 SERIES 5 SERIES 6 SERIES 7 SERIES MINI X SERIES Z SERIES CITROEN FIAT FORD MAZDA MG ROVER NISSAN OTHER MANUFACTURERS PEUGEOT RENAULT SEAT TOYOTA VAUXHALL / OPEL VOLKSWAGEN. F15 type Models . front plastic wheel arch trim - the trim that goes around the wing wheel arch. NOTE: YOU MUST MAKE SURE THESE ARE WHAT YOU NEED BEFORE YOU BUY - THERE ARE OTHER FIXINGS REQUIRED - THIS is only for the pop rivets. NOTE: YOU MUST MAKE SURE THESE ARE WHAT YOU NEED BEFORE YOU BUY - THERE ARE OTHER FIXINGS REQUIRED - THIS is only for the pop rivets. For 6mm hole. YOU NEED A PLASTIC POP RIVET TOOL FOR THESE. BMW E85 E86 Z4 RIGHT WHEEL ARCH HEADLIGHT BULB ACCESS COVER. E86 - Coupe. E85 - Convertible. Suitable for the following Z4 models (2003-2008) ;. BMW Z4FRONTRIGHT wheel archUPPER access panel cover. ACCESSORIES AUDI BMW 1 SERIES 3 SERIES 5 SERIES 6 SERIES 7 SERIES MINI X SERIES Z SERIES CITROEN FIAT FORD MAZDA MG ROVER NISSAN OTHER MANUFACTURERS PEUGEOT RENAULT SEAT TOYOTA VAUXHALL / OPEL VOLKSWAGEN. NEW BMW Z4 SERIES FRONT WHEEL PLASTIC ARCH COVER TRIM RIGHT O/S. -BMW Z4 E85/E86 (2003 - 2009). 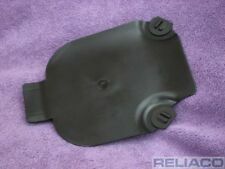 BMW E85 E86 Z4 FRONT LEFT FOG LIGHT BULB ACCESS COVER. E86 - Coupe. E85 - Convertible. Suitable for the following Z4 models (2003-2008) ;. BMW Z4FRONT LEFT wheel archLOWER access panel cover. Allows access to the fog light bulb. 2003 BMW X5 E53 FRONT RIGHT DRIVER SIDE WHEEL ARCH TRIM 8 402 334 / 8402334. Condition is Used. Model: E70 X5 & LCi. It is your responsibility to make sure when ordering this part is correct for your car and we are will to assist you with this. Are your parts genuine BMW supplied parts?. How do I know that the part will fit my car?. 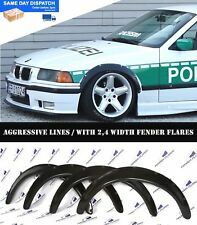 For BMW E70 X5 Wide Fender Flares. These flares fit on allBMW E70 X5 (models 2007-2013, Not M Bumpers ) and are required for 20" and up or simply wider performance wheels/tires and give your car an unmistakably authentic sport appearance. NEW BMW Z4 SERIES FRONT WHEEL PLASTIC ARCH COVER TRIM PAIR SET (LEFT N/S RIGHT O/S). -BMW Z4 E85/E86 (2003 - 2009). Made of high quaility fibreglass and are supplied unpainted. the extensions are designed to be fibreglassed or bonded to your car. Nuevo BMW originales serie 2 F22/LCI F23/LCI M delantero derecho so presión labio 8057218 oem. BMW serie 2 f22/lci. BMW serie 2 f23/lci. Nombre de parte: so derecho presión labio delantero M. Información del Vehículo Información sobre el objeto. Nuevo BMW originales serie 2 F22/LCI F23/LCI M delantero izquierdo N/S presión labio 8057217 oem. BMW serie 2 f22/lci. BMW serie 2 f23/lci. cualquier imperfecciones. Nombre de parte: M N/S delantero izquierdo presión labial. Stem Length. Replaces part No: 5511944537. El producto es producido en EU por los altos estándares de calidad. Fácil instalación. En algunos casos, usted necesitará la ayuda de un especialista. Material: FRP \ GFK \ fibra de vidrio. Genuine BMW X5 E70 M Rear Wheel Arch. BMW RRP: £189.74. Side: Rear right when sitting in the car. If you don't know how to do this, send us the last 7 digits of your VIN number and we will check for you. REMOVED FROM BMW X5 E53 2002. Countryman F60 2016 - 2018. 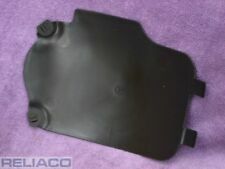 Kupplungen von Sachs Performance oder Clutchmaster. Blow/Popoff Ventile von Tial, Greddy, HKS, Turbonetics und Blitz. Getriebe Differentialsperren von Peloquin und Quaife. Doch damit ist noch lange nicht Schluss, wir können Ihnen auch Zylinderkopfbearbeitungen. NEW BMW Z4 SERIES FRONT WHEEL PLASTIC ARCH COVER TRIM LEFT N/S. -BMW Z4 E85/E86 (2003 - 2009). BMW X3 X4 F25 F26 DRIVERS FRONT ARCH TRIM MOULDING. THIS ARCH TRIM IS A USED PART. THIS IS A GENUINE BMW PART. Headlights & Rear Lights. Rear Bumpers. Front Bumpers. Isle of Wight, Isle Of Man, Channel Islands, Northern Ireland, Isles of Scilly. E70 / E70 LCI 2007-2013. • excelente estructura de superficie permite una pintura conveniente. If there is a problem, we can work together to resolve it. MAKE SURE YOU ARE BUYING THE RIGHT ITEM. GOOD CONDITION. Set contains: Arches Flares (4 pcs) Mountings. There might be visible little cracks due to production process but they will be removed by preparing product for painting. For over years we have been specialized in tuning part sales building our professional skills and recognizability in the world. Note PART FITS:3' F30 ?. (02/2011 — 07/2015)3' F30 LCI ?. (10/2014 — 10/2018)3' F31 ?. (07/2011 — 06/2015). Type Wheel Arches. Los arcos de ruedas Fender Flares para BMW X5 F15 2014-2018 M-Design M-Sport Condición: ¡Nuevo! Los arcos de las ruedas están diseñados para mejorar el aspecto de su SUV y aumentar el factor de protección de las partes exteriores. Details : MINI (BMW) MINI COOPER Wheel Arch/Spat F56 Right Rear for 3 DoorMINI 2016. Year : 2016. Make : MINI (BMW). Vehicle Colour : B22. Model : MINI. MINI 2014 -2017 F56 Right Rear for 3 Door. Door : 3 Door. Adecuado para BMW X5 E70 Non LCI (2006-2010) solo después de reemplazar el parachoques delantero con LCI one. BMW X5 E70 LCI (2010-2013). Las defensas están equipadas con SRA (sistema de lavado de faros). Con los años, las reclamaciones, nuestra experiencia y el subnormal de compañía crecieron Tuns el sintonizador más grande en Sajonia, Alemania. Subnormal haciendo amplia defensas de 1er BMW E81 E82 E87 E88 extrema baja Kit. Note PART FITS:3' F30 ?. (02/2011 — 07/2015)3' F30 LCI ?. (10/2014 — 10/2018) only fits models with petrol engines. Type Wheel Arches. TRIM LEVEL. This part was removed from a Right Hand Drive Vehicle. Compatibility is a guide only. Your item will need to be signed for. Wheel Arch/Spat. Part Number. 3.0 Diesel Automatic Sport.